Show off your free pour latte art skills for your chance to win $100! Submit a photo of your beautiful free pour latte art creation via Instagram or Twitter using the hashtag #CeremonyInSession. On Instagram, tag @visionsespresso and @ceremonycoffee. On Twitter, tag @visionsespresso and @ceremonycoffee. Entries will be accepted until midnight PST on Thursday, September 7th. Winners will be announced Saturday, September 9th! 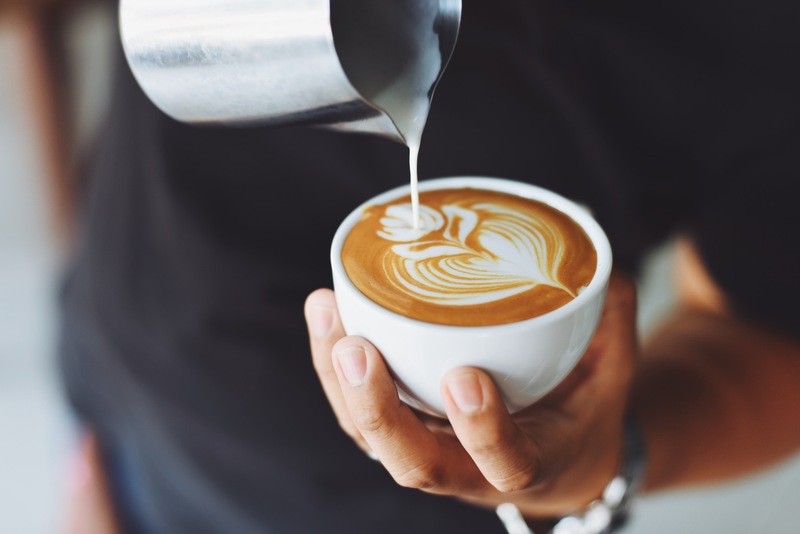 Visions and Ceremony will collaborate and decide on the top entries based on free pour latte art aesthetics including symmetry, balance, contrast and overall design. Get creative! Win! Prizes are listed below, and the grand prize includes $100. Questions? Tweet them to @visionsespresso. 1st Place – $100! As well a 6 Cup Chemex Coffee Maker, 12oz bag of Ceremony Ethiopia Limu Kossa and a 20 oz. Revolution Steam Pitcher. 2nd Place – A 6 Cup Chemex Coffee Maker, a 12oz bag of Ceremony Ethiopia Limu Kossa and a 20 oz. Revolution Steam Pitcher. 3rd Place – A 12oz bag of Ceremony Summer ‘17 and a 20 oz. Revolution Steam Pitcher.